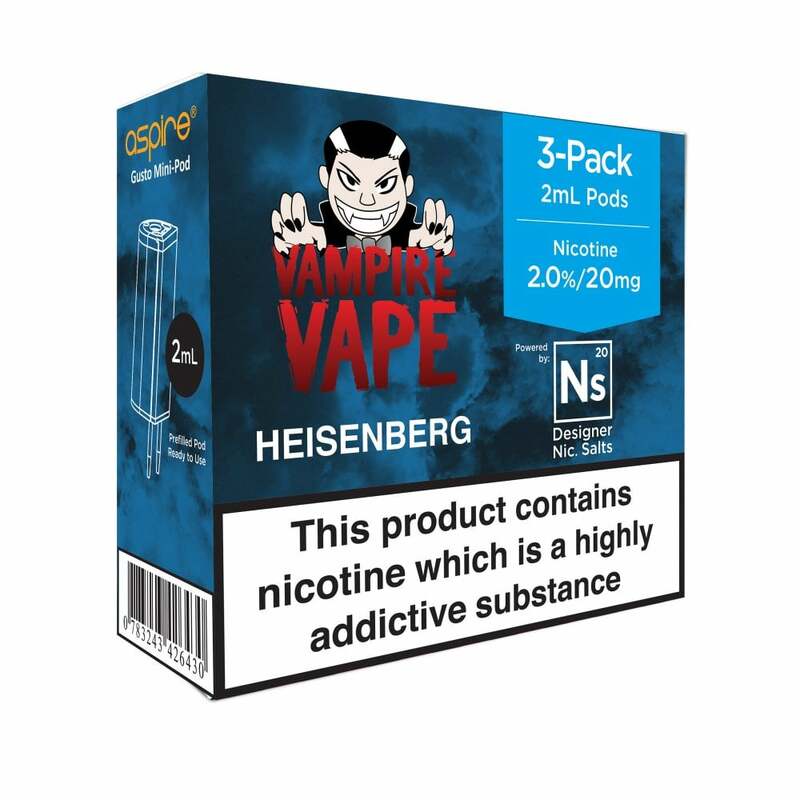 Often referred to as the "king of all-day vapes", Vampire Vape’s Heisenberg is one of the UK’s most iconic flavour profiles - and now it’s available as a nic salt pod for the Aspire Gusto Mini! Made to a top-secret recipe, Heisenberg delivers a rush of mixed berries, aniseed and menthol that you won’t want to put down. Heisenberg Aspire Gusto Mini pods are made with nicotine salts, giving you a quick, intense nicotine hit that recreates the experience of smoking a traditional cigarette. Very nice flavour which comes through well. Nice flavour just what you expect ! If you like aniseed, fruit and slight cooling agent then this is for you! Nic Salts version I felt I got more flavour! Would buy again! Remember Tunes......the cough sweets .........this one tastes just like Tunes.......very nice if you like Tunes! !